The one where JD was late to review it and deserves to be punished. internet died! it's no longer dead! i did some work off-stream but i'd still like to get connected again since i'm still going regardless! EDIT: no never mind my internet's too unstable to bother. Sorry about yesterday and not updating last week. It was a rough week. Going to try to post chapter 6 this week and then what was originally suppose to be the second half of it as chapter 7 sooner after. 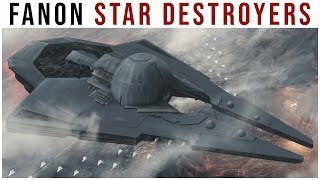 a immortal crew and a large ship that has a star destroyers in it...I'M ADDING THIS TO MY FLEET! Hey guys, things are getting better on my end, thankfully. Grandma's home and recovering really well. Money's a bit tight, however, so among other things I set up a patreon. No, no chapters or such will be held hostage. This is just for anyone that is able to and wants to offer some financial help towards me and my family. I have done it, I have made a new Tumblr. As the title implies, it's for CatraDora. I watched the latest four episodes and, for those who haven't watched I won't say a thing. I just wanted to share something with whomever this might interest: that something being Devin Townsend's Empath album. 4:30 pm to 1 am five days a week. The place I work at is roughly 50 minutes from my home, too and the job is super exhausting. So, already we're off to a bad start. In addition to Feather Steel I'm also currently and actively working on new chapters for Reflections of Darkness (I may change the name to that from its original title as I feel it's a tad much. stream time! gonna be a chill tuesday, workin' on partners. Hey pones, real excited about this one! My new story, Second Sunset, is now live.